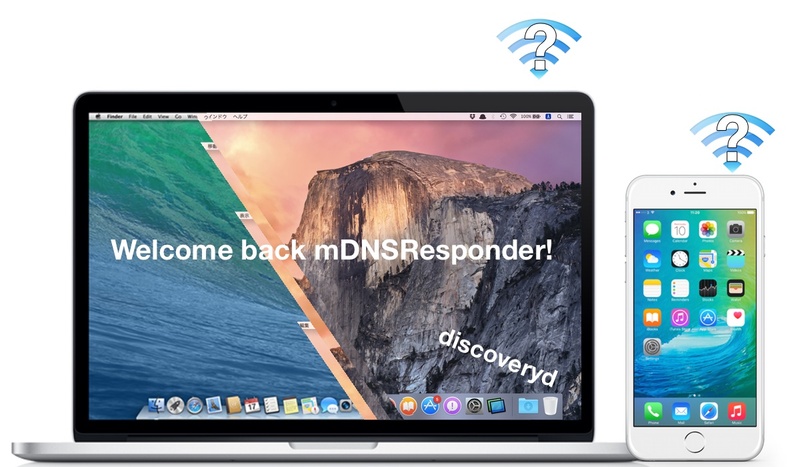 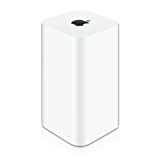 Apple、OS X 10.10.4 4th Betaに続きiOS 9 Betaでもネットワークデーモン「discoveryd」を「mDNSResponder」に切替え。 | AAPL Ch. 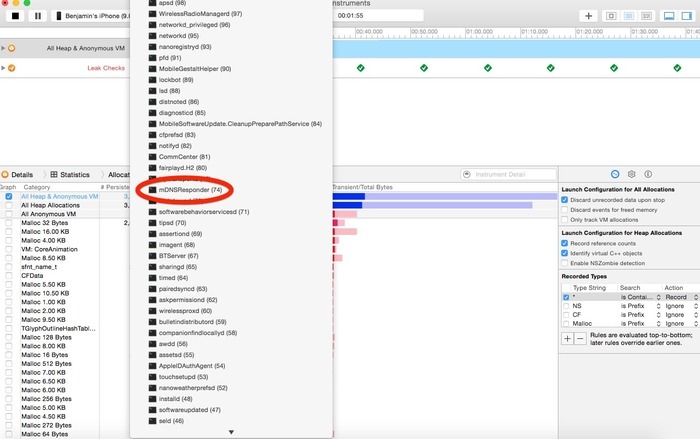 Using Xcode’s Instruments developer tools for iOS and Activity Monitor on the Mac, we can confirm that Apple has also dropped discoveryd on iOS 9 and OS X 10.11 El Capitan. iOS 8.4b4 is still on discoveryd; looks like it’s being rolled back to mDNSResponder for 9.0 (or the early betas, anyway).